Remember the Motorola Dinara? That was a code name, we first outed all the way back in July of last year, for a phone that was set to be the next big thing from Motorola. The picture above is said to be it, although, we aren’t sure if the source got the codename right, as we have seen an AT&T HD Razr-esque device from Moto codenamed the “Qinara” as of late that better matches up to this picture. Either way, this is likely what your DROID RAZR HD on Verizon is going to mimic, aside from the RAZR HD having a more RAZR look with angled edges. 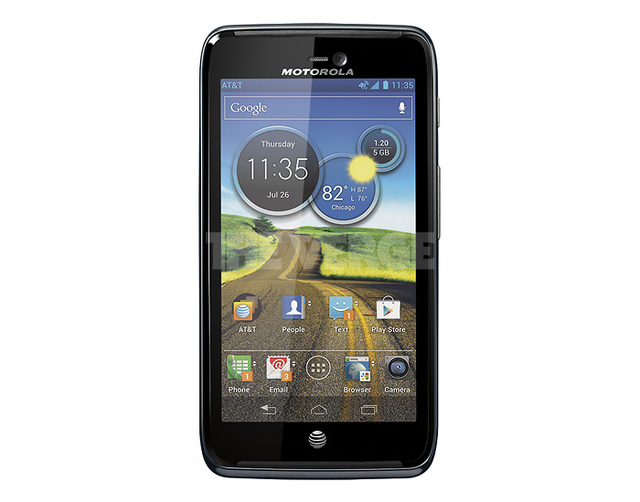 This phone reportedly has an HD 720p screen, Ice Cream Sandwich with MotoBlur, and on-screen navigation keys. From that benchmark we saw in April, we also know that it has a 1.5GHz Snapdragon S4 processor inside. I have to admit that this version of Blur looks very pretty. Check out the slight transparency to the nav bar and keys so that you can see the wallpaper. How nice of a touch is that? If the RAZR HD follows in these steps, prepare for something amazing.